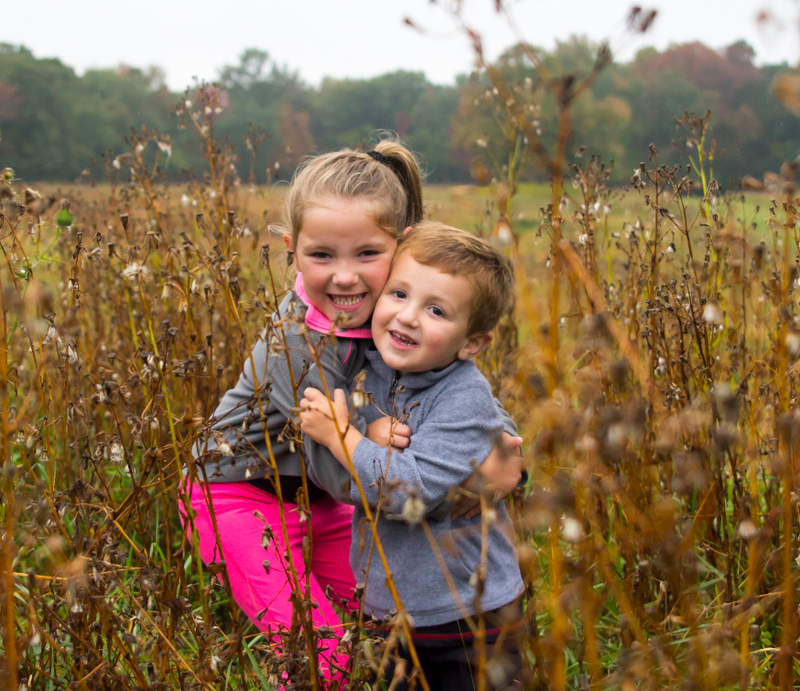 Are you a parent or caregiver to a child with a Baha 5 System? Here are some tips on how to handle the battery door in your child’s sound processor! All Baha 5 sound processors are equipped with tamper-proof features to prevent accidents from happening. Batteries, for instance can be very harmful if swallowed. 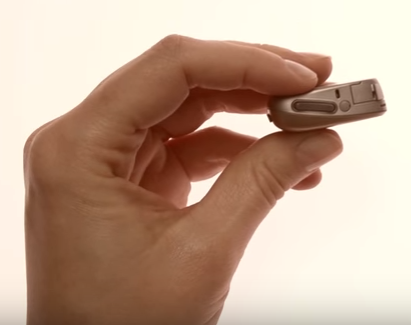 You can rest assured that Cochlear has taken great measures to prevent your child from being able to open the Baha sound processor and taking out the battery. It’s very important however that you check the sound processor on a daily basis to make sure that everything is working correctly. The Baha 5 Sound Processor has an optional tamper-proof battery door specifically designed for children. To unlock the sound processor, carefully insert the tip of a pen in the small hole on the tamper-proof battery door and gently open the battery compartment. To lock the device, simply close the battery compartment until it is completely closed. You must feel two clicks when you close it – if not, you should replace the door immediately. If the little “pin” (circled in red) is broken, the tamper-proof door won’t function as designed, and there is a risk your child could open the door. Contact your local Cochlear representative to order extra tamper-proof battery doors. Tip: Make it a habit that every time you change the sound processor battery or start the device, to make sure the door is firmly locked by lightly trying to open it – to test that the tamper-proof is functioning. The Baha 5 Power and the Baha 5 SuperPower sound processors have a built-in locking mechanism in their battery doors. You lock and unlock it using the tamper-proof tool provided in the sound processor box. 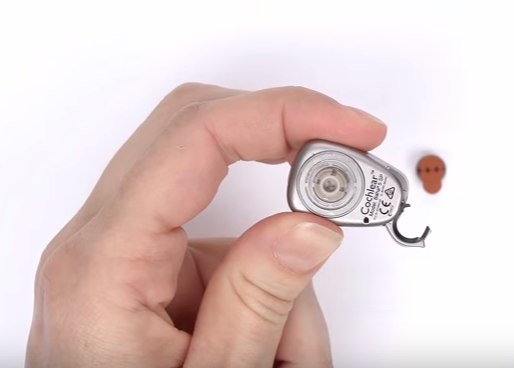 To lock the battery door, as shown in this instructional video, place the locking tool into the battery door slot. Slide the locking pin up into place. To unlock, slide the locking pin down into place and gently open the battery compartment. Should the battery door break, you can change it yourself, like this. If your child still somehow should manage to swallow a battery, contact your hospital emergency department immediately. Don’t try to make him or her throw up, and avoid food and drink. Not sure? Warning signs that a child has swallowed a battery include: excess dribbling, trouble swallowing, vomiting, coughing, choking, and unexplained chest infection. 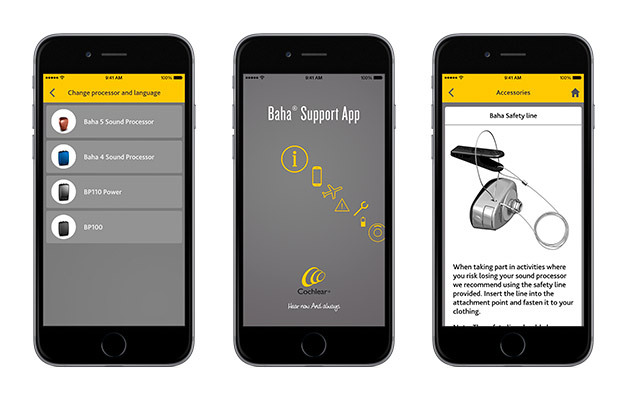 Psst: Download the Baha Support App to keep all instructional videos and tips in your smartphone! This entry was posted in Baha 5 Sound Processor, Baha 5 SuperPower Sound Processor, Baha 5 System, Smart tips and tagged Baha 5 family, Baha 5 Power, Baha 5 Sound Processor, Baha 5 SuperPower Sound Processor, Baha Support App, batteries, battery door, children, safety, tamper-proof. Bookmark the permalink.